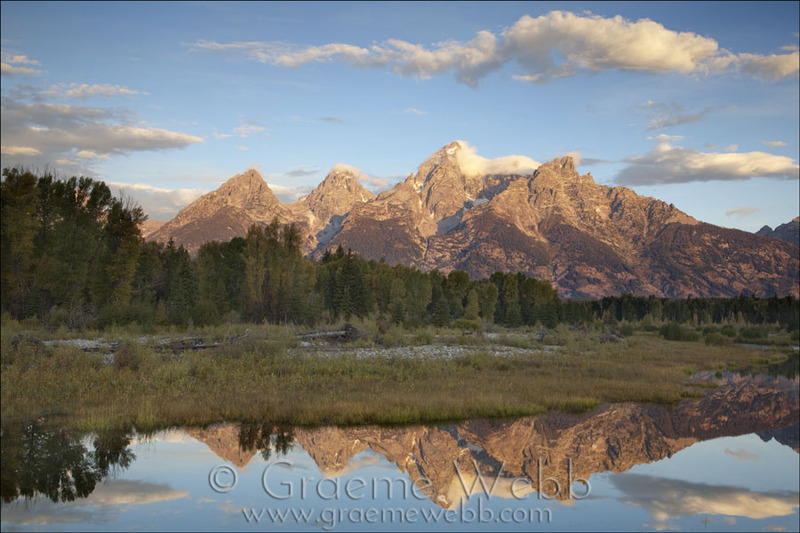 Schwabachers Landing in the Grand Tetons National Park. An early start was necessary to get to this location for sunrise. I had no idea how popular this spot is, and was unprepared for the crowd of tripods and photographers lined up on this river bank. A GND filter was used to maintain the tonal balance throughout.